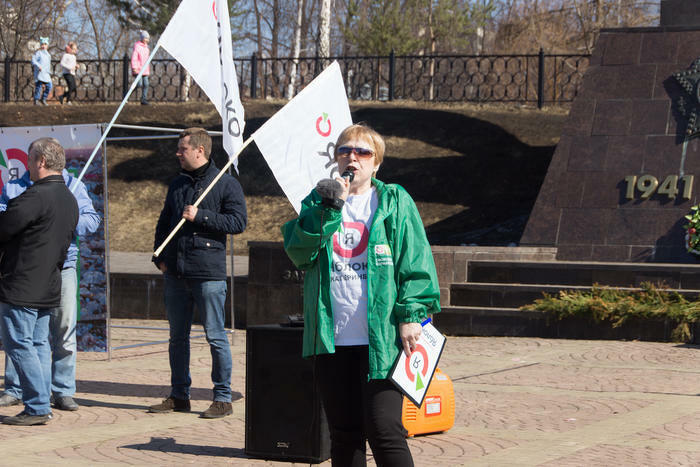 Irina Skachkova, Deputy Chair of the Sverdlovsk branch of Yabloko, said that “at present military spending constitutes a third of the country’s budget, but in everyday life we have to defend ourselves not from illusory external enemies, but from garbage landfills that have filled the country”. Activists of the Green Front movement and other public organisations also joined the rally. The organisers of the rally suggested that the participants of the action sign a resolution demanding a review of the procedure for conducting the garbage reform. The resolution will later be sent to Governor of the Sverdlovsk region Yevgeny Kuyvashev, copies will be transferred to the Public Prosecutor’s office and the President’s Reception Office. 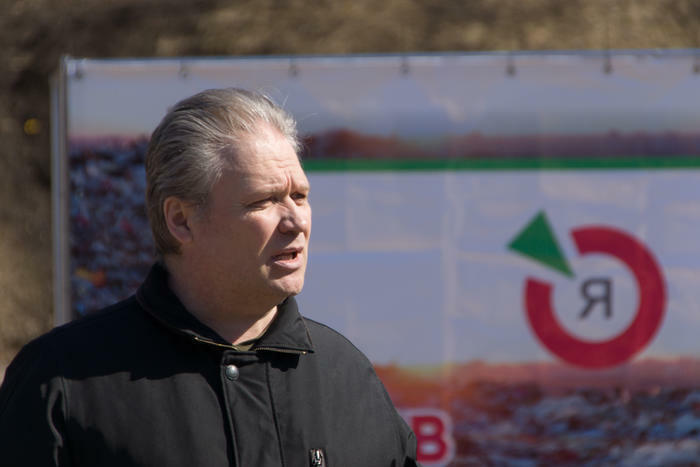 After the rally, Nikolai Rybakov discussed the possibility of holding parliamentary hearings on the situation with separate collection of waste and its recycling with Konstantin Kiselyov, head of the Yabloko faction in the Yekaterinburg City Council and Dmitry Okatiyev, head of the Yabloko branch in the Sverdlovsk region. 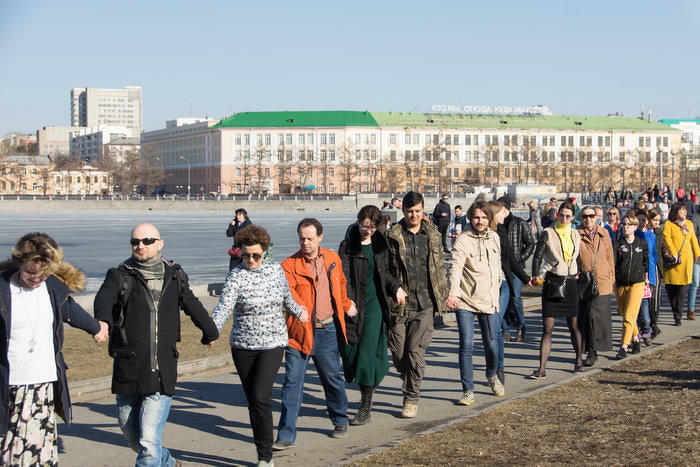 After that, Yabloko members attended an action in defense of a public garden by the Drama Theater. The authorities are planning to build a church of St. Catherine there instead of the garden. The participants, holding hands, “hugged” the whole square.